Sunglasses have become a must-have accessory for anyone who wants to protect the eyes from harmful UV rays and look glamorous. Real fashionistas have at least one pair of stylish sunglasses that can be worn no matter the season. We all know that the desire to find the perfect pair of fashionable glasses may turn into a grueling race thanks to the ever-changing fashion trends, our preferences, and, most importantly, the shape of our face. In fact, in addition to design and various decorations, you should pay attention to the shape of glasses you are going to buy, and choose the best ones for your face shape. Currently, buyers will find a huge selection of stylish and beautiful sunglasses for every face size and shape. Read these tips on how to choose sunglasses in order to avoid mistakes. Girls with a round face seem to live at the other end of the spectrum of sunglasses – they either look great or funny. They have wide cheeks, and the length from the forehead to the chin is almost equal to the width of the face. If you want to extend the silhouette of the head and make it thinner, choose rectangular sunglasses or those with asymmetric top and bottom. 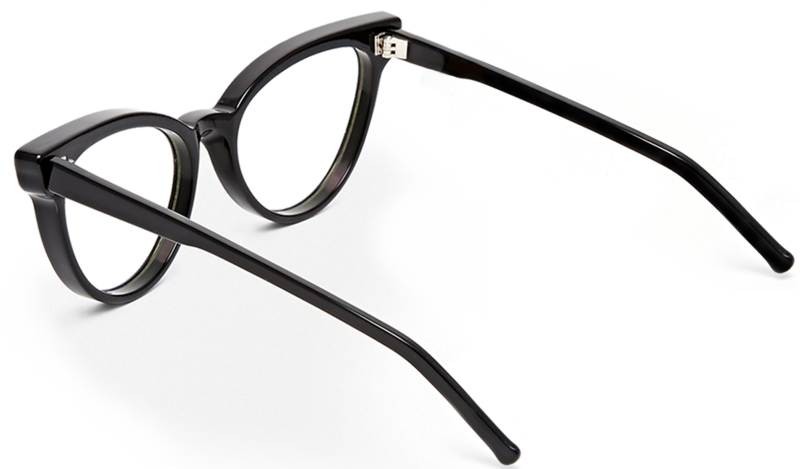 However, keep in mind that square glasses will look very sharp, so choose square-shaped sunglasses with rounded edges. Shop designer models from brands such as DKNY, Versace, Tom Ford, Vera Wang. Girls born with a heart-shaped face have a narrow jaw and high cheekbones. If you belong to this category, try to avoid heavy frames or geometric lines. The perfect sunglasses for a heart-shaped face will be cat’s eye, oval or rimless models. Try to find glasses that do not hide eyebrows – they will make you look great. Women with oval faces are the most fortunate ones – they can experiment with different styles and wear even specific types of sunglasses. At the same time, they still will look better in oversized wide frame sunglasses. You can also try rimless, round and rectangular glasses. However, try to avoid straight lines. It is really hard to find the perfect pair of glasses for girls with an oblong or rectangular face shape. They have a long face with straight long cheekbones. In this case, you have to gently add volume to your face. Like the oval face, oblong face looks better with big glasses. Oblong faces look good with round sunglasses. Square face is characterized by a massive jaw and a square hairline. If you have a square face shape, choose sunglasses that are higher in the upper part. Keep in mind that small glasses will make your face and eyes look small and distorted.